Have you ever wondered who the people are in the pharmacy and why they ask you the questions they do? Continue reading for answers to your questions! When Eugene and Petunia were asked what they wanted to be, they thought about what it was they were good at. They both liked helping people, and that’s why they chose to study pharmacy. With four years of study and a year of practical experience, Eugene and Petunia knew a lot about how the body works, about health conditions and diseases and how to treat them. And because their study focused on medicines – how they work in the body and how the body responds to them – they became part of the profession of pharmacy who are considered experts in medicines. Working in the pharmacy in Whatchoocan Sea, Eugene and Petunia saw how valuable a pharmacist could be. They used their knowledge and professional care to look after their community. They both dispensed prescriptions, treated wounds, provided headache tablets and performed health checks and medicine reviews. The people of Whatchoocan Sea knew they could ask Eugene and Petunia for advice and support to solve problems, or refer them to others who could help if they couldn’t. As you can see, the community is looked after by a team of people who are knowledgeable about medicines and health conditions, and ready to help you and your family. 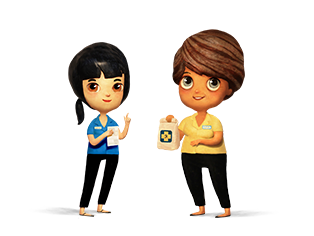 Your health is the most important thing to Eugene, Petunia and every other team at every other community pharmacy around Australia. Because everyone knew that the pharmacist was an important part of the healthcare team, the community used their pharmacy more and more. So Eugene and Petunia wanted to employ some staff to help them. Elsie was hired as pharmacy assistant to help Eugene and Petunia with the day-to-day running of the pharmacy. Because Elsie helped supply non-prescription medicines, she had to do accredited training. This meant she knew the questions to ask to make sure the medicines that were supplied were safe and appropriate for every customer of the pharmacy. 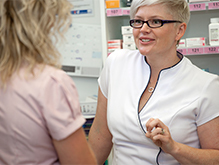 An important part of Elsie’ role is knowing when and who to refer to the pharmacists, so that they can then provide more specialised advice and care. 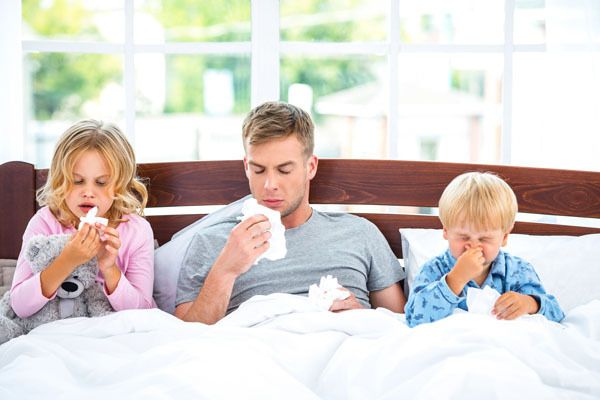 Normally those are customers such as children or pregnant or breastfeeding mothers, and people wanting specific medicines or with certain symptoms. Elsie trained in many areas of the pharmacy and learnt lots about wound care, skin care and vitamins and complementary medicines. She loved working in pharmacy because she got to know lots of customers and knew she was making a difference to their health. Eventually Elsie asked if she could do more training to help in the pharmacy’s dispensary. Elsie did a course to specialise and become a dispensary assistant. She processed prescriptions, collected stock and collated the paperwork for the pharmacists. Eugene and Petunia always had to do a clinical review of each prescription before it was able to be given out to the customer. 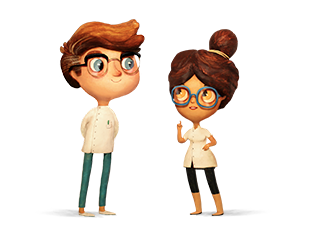 Now Eugene and Petunia are on the look out for new people to train as pharmacy assistants.